The Guide to Mindful Eating offers Mindfulness Exercises and transformation tools and 45 delicious veggie recipes that are recommended within weekly dream healthy menu. We hope that this Guide will enrich the reader’s knowledge about health, healthy cooking, vegetarian diet. 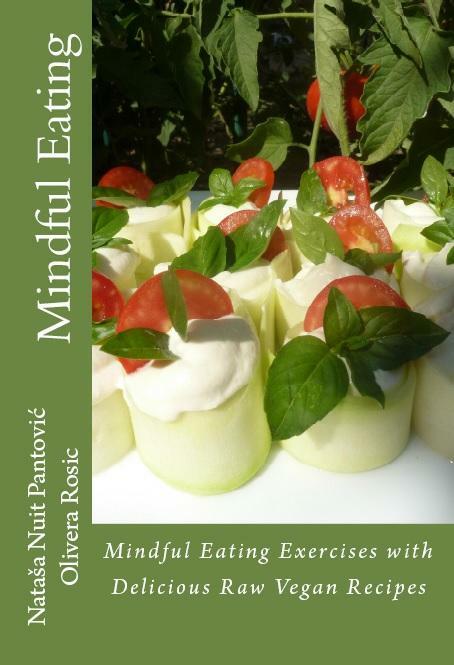 Mindful Eating Book with Raw Vegan Recipes introduces Alchemy of Love Mindful Eating Exercises and has a collection of Delicious Raw Vegan Recipes that aim to inspire you to eat fresh, uncooked fruits and veggies every day. 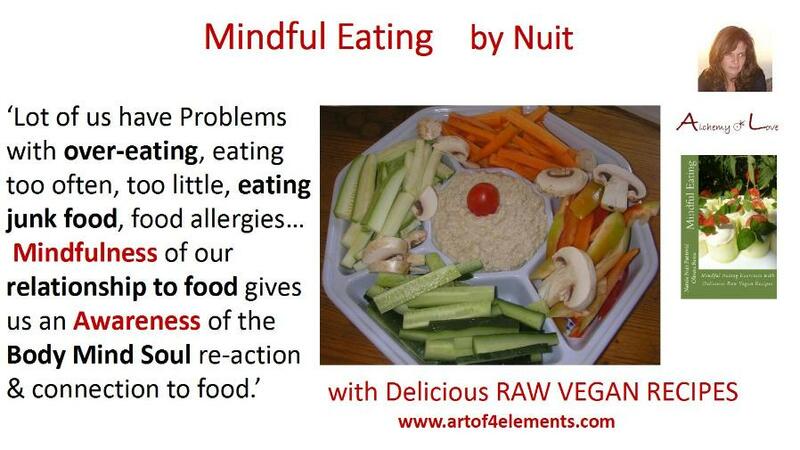 It is worth experimenting with raw foods, I am always surprised how tasty vegan raw dishes could be! The path to healthy body, and happy soul is based upon self-study, mindfulness, love and awareness. Understanding our relationship to eating will cultivate a lot of insights and help us start living our highest potential. We are very happy to have with us an experienced and well-known Vegan Chef Olivera Rosic. Olivera loves raw food and whole-heartedly believes in its health benefits. Olivera is passionate about good tasting food. Olivera engineered a wonderful concept of connoisseur of raw food. She is a joyful host of numerous vegan retreats and raw food for health workshops. Olivera is a regular columnist of a raw food recipe section of the magazine Live Health. Olivera adores experimenting and creating the most appetizing vegan dishes, delicious freshly squeezed juices and rich chocolate creams with raw coco. Her mind is always full of little cooking secrets of how to create a dish that is truly unique.